General & Business Litigation | Orsinger Law Group, P.C. Fraud. Embezzlement. Breach of contract. Copyright infringement. Defamation. Unfair competition. These are all very real risks that businesses face. They are also words that, when presented in the form of a civil complaint, can send a chill down any business owner’s spine, as an adverse outcome in court could mean a tarnished reputation or worse, the collapse of the business entirely. Orsinger Law Group, P.C. has experience in general and business litigation and will serve as a tireless advocate for businesses that face seemingly impossible odds. 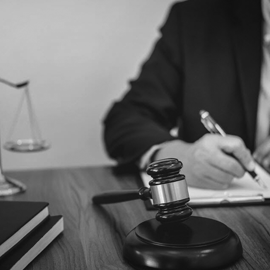 Whether your business has been accused of a wrongdoing or you wish to pursue justice for a wrongdoing committed against you, reach out to our law firm to speak with our managing partner, Trevor Orsinger, today. Trevor Orsinger began his career in the courtroom as a public defender and served as a military prosecutor with the United States Air Force. He continues to be a strong advocate in the courtroom. Because of his long litigation history, Mr. Orsinger is not afraid of adversity and remains confident and sure in the face of powerful adversaries. He has tried dozens of cases during his career and has a long track record of success. He possesses an unparalleled understanding of how to evaluate cases for strengths and weaknesses, from contract issues to employment disputes. Orsinger Law Group, P.C. is prepared to take an aggressive yet professional approach to any issue that challenges your business. Our team strives to help clients reach an optimal outcome outside of the court, but sometimes, that simply is not possible. When litigation cannot be avoided, we understand precisely what needs to be done to obtain a quick and favorable resolution. Unlike many business law firms, we are not afraid to go to trial, as we have full confidence of our abilities to win once we are there. Whether a complaint has been recently filed against your company, you plan on filing a complaint against another company or individual, or you merely want to take proactive measures to protect your business’s interests, contact Orsinger Law Group for the staunch legal representation you need.